Did you know that you could be driving a new car from as soon as tomorrow, while earning ownership of a car over a few short years? 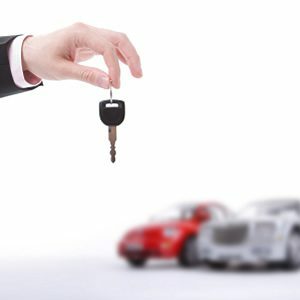 With Earn-A-Car, even people that are blacklisted can work towards buying a car of their own in the space of three to six short years. This is fantastic news to anyone who has tried to buy a car of their own with a bad credit rating, or after being blacklisted. If this is the situation you are in, you have probably been rejected for vehicle finance one too many times. At Earn-a-Car we know how painful this process can be, and this is why we take the pain and hassle out of applying for finance. Choose the car you want from a selection of vehicles at Earn-a-Car. Meet some basic criteria. The criteria for approval at Earn-a-Car is incredibly low: You need a down payment of roughly R15 000, no criminal record and the ability to make monthly payments of roughly R2 500. Bring the required documents – a valid drivers license, proof of ID, proof of residence and three months bank statements. Start off renting a car from Earn-a-car and get cash back for every month you pay for your rental. This cash will be available to you after the termination of your rental and you can use it to buy a car. In addition to earning your own car, this solution will help you clear your bad credit history because if you stay up to date with car payments, Earn-a-Car will provide a positive credit reference for you that will boost your credit rating. Start taking control of your life today. Apply for a car at Earn-a-Car today and you can be driving a car as soon as tomorrow. Contact us now to find out more about earning a car of your own.